ONI Bureau: Odisha Chief Minister Naveen Patnaik today laid the foundation stone for the Cancer Care Hospital in Jharsuguda. 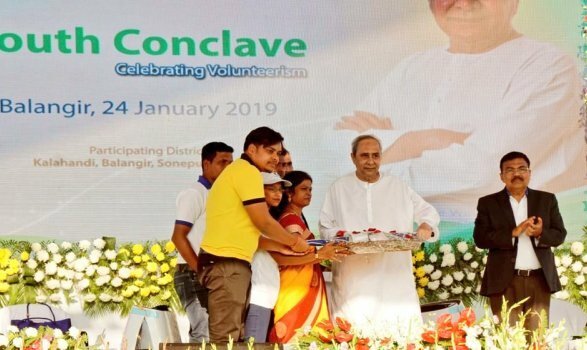 Besides Patnaik launched a slew of projects worth Rs Rs 618.66 crore including six irrigation projects, four mega water supply projects in Jharsuguda district. While addressing a conclave of Biju Yuva Vahini at the Rajendra College in Bolangir the Chief Minister said, “Odisha Government will positively consider upgrading Rajendra College to a University”. The CM assured students to provide university tag to Rajendra College soon.